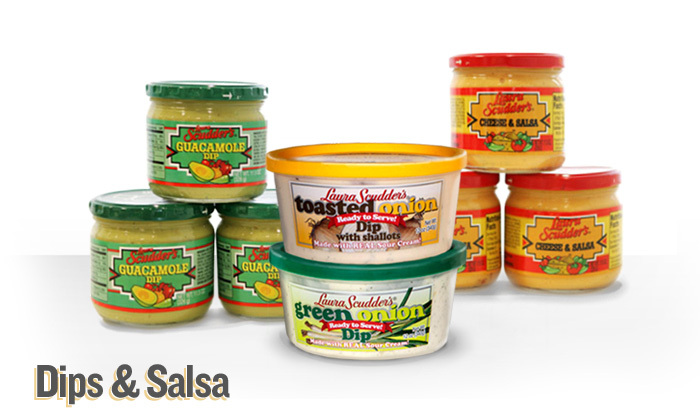 Salsas and Dips are the tastiest dips available. Try them and taste for yourself! 12oz Refrigerated Premixed Green Onion Dip. 12oz. Refrigerated Premixed Toasted Onion Dip. Laura Scudder's Cheese and Salsa Dip.